In many states pregnant women are forced to give birth in shackles endangering both them and their baby. The overwhelming majority of women in prison are sexual assault survivors, yet in many states male guards can strip search women and supervise them in showers and bathrooms. 80% of women in prison are mothers; yet many are sent hundreds of miles from their families making it impossible for their children to visit. In some prisons women are denied adequate access to sanitary items forcing them to either purchase on commissary or go without proper hygiene supplies. The Dignity Campaign, led by women who have lived in prisons and know the conditions firsthand, is empowering women to share their stories and working with state legislators to change laws in 20 states by 2020! By signing this form, you are agreeing to receive occasional emails on this and related campaigns from one or more of the partners listed — The Dream Corps, #LoveArmy, #YesWeCode, #cut50, and #GreenForAll. You may of course unsubscribe at any time. This bill would prohibit male guards from conducting pat down searches of incarcerated women and prohibit them from entering an area where women may be in a state of undress, unless there is a risk of immediate harm. It would also require documentation of any male officers conducting pat downs or entering prohibited areas within 3 days of the incident and require the documentation to be reviewed by warden. Bill Status: The bill unanimously passed out of the California Public Safety Committee on March 20th, 2018. Check on the bill’s latest status here. By request of females incarcerated in Arizona prisons, the Director shall provide an unlimited supply of feminine hygiene products. Notwithstanding any other law, the Director may not charge incarcerated women for a feminine hygiene product. Feminine hygiene products include tampons, sanitary napkins, menstrual sponges, menstrual cops and similar items used for the menstrual cycle. Bill Status: The bill stalled in committee but shortly after its first hearing, the Arizona Department of corrections changes its policy to supply up to 36 pads per month. "Effective immediately, the department will increase the minimum baseline quantity that inmates receive each month, from 12 to 36," the Arizona Department of Corrections said in a statement. "As is the current practice, an inmate may request and, without charge, receive additional pads, if necessary. Additional product options will continue to be available through the inmate store." Requires the Division of Corrections to have a written policy and procedure in place requiring that menstrual hygiene products be provided at no cost to incarcerated women and requires the Director and the managing official of a correctional facility to ensure that the correctional facility has a sufficient supply of menstrual hygiene products to meet the needs of the inmate population at all times. Bill Status: Passed the Senate unanimously on March 1st and passed the house on March 27th. ✔ Approved by the Governor on April 24th 2018. Check out the latest status here. The purpose of this bill is to give adequate access to feminine hygiene products and medical information concerning menopause and other health issues unique to women. This bill would also eliminate embarrassing practices incarcerated women are subject to by male correctional officers, like strip searches. This bill would also force the department of corrections to take into account the location of an incarcerated women's spouse of children. This would also ensure gender sensitivity training. 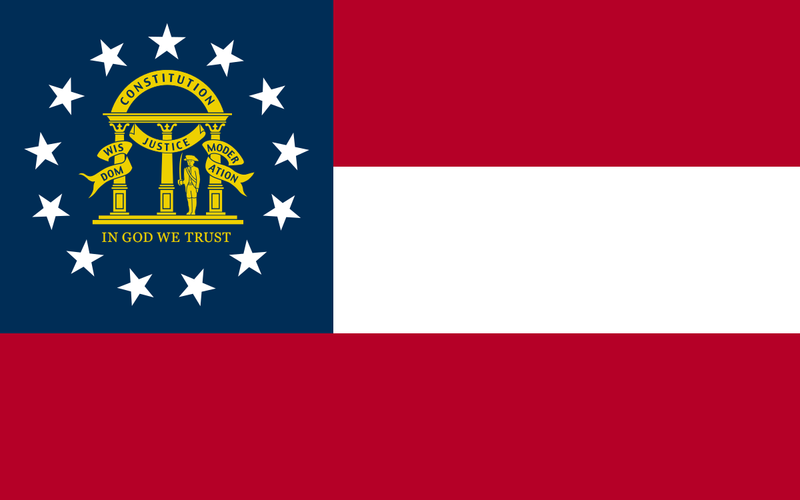 Bill Status: HB 345 has passed the Georgia House on 3/5/2019, it will head to the Senate next. Check on the bill’s latest status here. Dignity for Incarcerated Women Act Louisiana provides for increased access to healthcare products for incarcerated women including sanitary pads, tampons, toilet paper, and hygiene products and restricts male staff from conducting pat down searches and entering areas where incarcerated women may be undressed to preserve the dignity of women in prison. Women do not have choice or control over menstrual cycles and requirements and therefore should not be required to pay for menstrual products to insure their health and dignity. There are 2,067 women incarcerated in state and local facilities in Louisiana - 1,858 are of reproductive age and in need of these products. Incarcerated women in Louisiana report receiving as few as 10 pads per month and 1 roll of toilet paper per week. Additional sanitary products must be purchased for a price above market value which places an undue burden on indigent women and women without family financial support. Allowing male officers to conduct pat down searches and enter restrooms or showers increases the possibility of sexual assault and likelihood of re-traumatization for incarcerated women. Co-Sponsors: Rep. Geraldo C. Reyes, 75th Dist., Rep. Terry B. Adams, 146th Dist., Rep. Patricia A. Dillon, 92nd Dist.Rep. Robyn A. Porter, 94th Dist., Sen. Gary A. Winfield, 10th Dist., Rep. Andrew M. Fleischmann, 18th Dist., Rep. Patricia Billie Miller, 145th Dist., Rep. Charlie L. Stallworth, 126th Dist., Sen. Terry B. Gerratana, 6th Dist., Sen. Terry B. Gerratana, 6th Dist., Rep. Jeff Currey, 11th Dist., Sen. Douglas McCrory, 2nd Dist., Rep. Joshua Malik Hall, 7th Dist. Barring prison staff from shackling pregnant inmates, or those who have recently given birth, unless prison staff can document it is necessary for safety. Locating a correction officer within the room of an inmate in labor in a way to best ensure her privacy, and requiring the correction department to try its best to have a female officer stationed with the laboring inmate.Giving new mothers who are incarcerated the opportunity to pump and store their breast milk. Giving moms with infants in neonatal intensive care units the opportunity to regularly visit their children. Giving pregnant inmates copies of the department’s policies to ensure they know their rights. Housing inmates upon release from the hospital in a medical or mental health housing unit until discharged by a licensed health care provider. No longer charging incarcerated women for an appropriate amount of tampons and sanitary napkins. Establishing special policies for incarcerated mothers regarding visitation by their children, physical contact and frequency of visits. Requiring male staff to announce their presence when entering a woman’s cell and bar male staff from observing women showering, using the restroom or changing clothes, except in exigent circumstances. "This bill addresses several issues unique to the female prison population in an effort to help reduce recidivism among this group of inmates. This proposal ensures that incarcerated women who are pregnant are provided counseling and written materials, receive appropriate medical care throughout, and after, their pregnancy, and prohibits the inhumane practice of shackling during labor. Additionally, the bill ensures all women receive feminine hygiene products at no cost, and ensures that staff are properly trained in gender-specific and trauma-related issues faced by female inmates." Bill Status: Introduced May 17, 2018. Currently waiting to be heard in the House Appropriations Committee. Check the latest status here. "A growing segment of the prison population typically is excluded from the criminal justice reform conversation and does not get the attention it deserves: primary caretaker parents behind bars. According to the Sentencing Project, in 2004, 52 percent of inmates in state prisons and 63 percent in federal prisons were parents of minor children. Most parents in prison are fathers, but the rate of female incarceration in America is growing at an alarming rate. While the number of fathers in prison increased 76 percent between 1991 and 2007, the number of mothers in prison increased by 122 percent during that period. Presumably, the considerable growth in incarcerated parents represents a considerable growth in incarcerated primary caretaker parents. This is significant because these parents face unique challenges. Their incarceration is not their burden to alone share; it also greatly impacts their family. Many incarcerated primary caretaker parents also are faced with difficult and competing choices, like whether to use their limited funds to call home to talk with their children or to purchase hygiene products in the commissary. It is time for this State to focus on its incarcerated primary caretaker parents and provide them with the protections they deserve." Bill Status: SB 332 passed Senate CJ Subcommittee unanimously on 2/11/19; passed Senate Appropriations Subcommittee on Criminal and Civil Justice and we are waiting for a full committee vote. Check on the bill’s latest status here. As introduced, requires custodians of women prisoners to provide feminine hygiene products, moisturizing soap that is not lye-based, toothbrushes and toothpaste, and any other healthcare product a custodian deems appropriate to women prisoners at no charge and in an appropriate quantity. Bill Status: Introduced and passed on first consideration. It has been referred to the Senate State and Local Government Committee. Check on the bill’s latest status here. Amika Mota is the Prison Reentry Director at the Young Women’s Freedom Center in San Francisco. She began organizing for Reproductive Justice and young mothers rights over twenty years ago, as a teen mama and midwife. Her passion for criminal justice reform is rooted in her own experience. She began advocating for women in prison during her seven year incarceration in the California Department of Corrections, where she served time at both CIW and CCWF. During her time inside, she was a jailhouse lawyer, paralegal, firefighter, and mentor to many youth on the yard. The sisterhood and resiliency of the women on the inside are what motivate her to revolutionize the criminal justice system, transform what true rehabilitation and reentry look like, and promote a culture of healing and restorative justice to those most impacted by the system. She is committed to lifting up the voices, visibility and leadership of incarcerated and formerly incarcerated women. Sue Ellen Allen is a speaker, author and activist. As a former inmate, she founded Reinventing Reentry, a nonprofit organization dedicated to educating and reshaping our society’s perception of former inmates so they may successfully reintegrate and be given a fair chance for employment, housing, education and volunteer opportunities. In 2016, Sue Ellen was honored to be a representative for criminal justice as one of twenty-three guests of the First Lady in her box at President Obama’s final State of the Union address. Her experience in prison, her dedication to make a difference, and her trip to the White House serve as powerful examples of hope to inmates that they too can have a voice in their communities. An inspiring, sought-after speaker, Sue Ellen’s many audiences include the White House, the National Press Club, the United State of Women, UC Irvine Law School, PayPal, Thunderbird School of Global Management, TEDx, Dave’s Killer Bread and Columbia University. During her seven years in prison she battled advanced breast cancer and watched her young cellmate die of medical neglect. The Slumber Party from Hell, her memoir about prison life, is a leader in addressing the price America pays as the world’s Incarceration Nation, both in tax dollars and in our humanity. Amy Ralston Povah is an accomplished filmmaker, writer, speaker, and activist. Her efforts have focused primarily on issues related to executive clemency, criminal justice reform, conspiracy laws, women in prison, and the drug war. Amy is a Clinton-era clemency recipient who served 9 years of a 24-year sentence for “conspiracy” in an MDMA case. After her release from prison, Amy commenced impactful work, such as: founding the CAN-DO Foundation in 2004 to educate the public about the conspiracy law and to help victims of the conspiracy law seek “justice through clemency” focusing primarily on women. She produced an award winning documentary about the drug war; organized White House vigils for the prisoners profiled on the CAN-DO website to coincide with President Obama's Clemency Project 2014 and attended a White House Clemency Summit. Amy has spoken on panels about both the conspiracy law and clemency at Yale University, Vanderbilt University, Washington State University, New York University, Columbus School of Law, Georgetown and on Capitol Hill; authored Op Eds for new sources including the New York Times, Fusion, HuffPost, and The Hill. Amy has worked with the press to garner exposure for numerous prisoners seeking clemency and been quoted in almost every major media publication, plus conducted numerous radio interviews and podcasts. She has also been featured in several documentaries, including Incarcerating US, released in 2016. I am a twenty-six year old college graduate, with an Associate's degree in Criminal Justice and a Bachelor's degree in Psychology with an emphasis in Addiction. I am currently completing my Master's degree in Legal Studies, and I have plans to begin law school by Fall of 2019. I returned home from California State prisons on November 8, 2017, after serving one year. Since my return to my community I have began to advocate for criminal justice issues. I am currently a member of Anti-recidivism Coalition (ARC), as well as an intern. I sit on the Advisory Board of the Women’s Dignity Campaign in order to assist in the restoration, protection, and assurance of dignity to women incarcerated in California state prisons. It's time to do something about the horrendous abuses committed against women behind bars every day. #cut50 is leading a campaign to restore Dignity to tens of thousands of incarcerated women. We need all the support we can get. Please consider making a donation today.